Community choirs flourished in New Zealand from the 1830’s when pioneer settlers began bringing their musical traditions from England, Scotland, Wales and many other European countries. English choral repertoire predominated, and musicians sought to replicate choral life as they remembered it in their ‘home country’. The first people of the land – the Maori people – had already loved to sing on their maraes (meeting grounds and houses) and in tribal gatherings, and in the modern era Maori choir festivals have played a major part in communal life. Research evidence suggests that many more 6 and 7 year olds of Maori and Pacific Islands heritage can accurately match pitch than European children. To an extent the Maori and European cultures have impacted each other’s choral styles, and it is particularly impressive and exciting to hear the new resonance, range of colours and energy in the New Zealand Youth Choir and the NZ Secondary Students’ Choir since these groups have become more multi-cultural in their make-up. The success of some of the mainly European community choirs is another major thread in the story of choral music in New Zealand. Two of the larger choirs, the Royal Christchurch Musical Society (Robert Field-Dodgson), and the Harmonic Society (William Hawkey) in Christchurch, were invited to travel overseas in the second part of the 20th century, while two smaller groups in Wellington: Stanley Oliver’s Schola Cantorum, and Maxwell Fernie’s Schola Polyphonica made excellent recordings of the most demanding of classic Western literature. These and other choirs throughout the country nurtured musicians who became future leaders in all kinds of musical endeavour. Many New Zealanders also gained a rich musical education in their secondary school days if they were fortunate to attend a school with a chorally-minded Head of Music Department, for example, Ralph Lilly, Nelson College and Dr Vernon Griffiths at King Edward Technical College, Dunedin. The latter teacher was brought to New Zealand from England by the Government to Christchurch Training College in the late 1920’s, but when the Great Depression necessitated the closing of all Teachers’ Colleges, Griffiths took up a position at that Dunedin school. There he established a quite breath-taking, visionary scheme that inspired others to involve their whole school in choral singing. 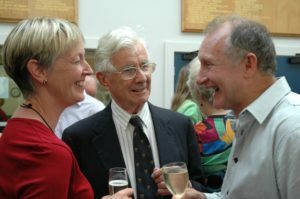 One of the first teachers in that scheme was Frank Callaway, later Sir Frank Callaway, President of the International Society for Music Education, and lifelong choral conductor, even after retiring from being Professor at the University of Western Australia. At the elementary (primary) school level, first-class national radio broadcasts to schools featured Mr Tom Young’s children’s choir at Kelburn School, Wellington as the model choir. Over a nearly fifty year period this seminal radio resource was guided by leading choral musician-teachers such as Val Drew, Robert Matthews, Valerie Hitchings and Wilbur Manins. Impressive choral singing seemed to spring up wherever dedicated musicians taught in schools. William Walden-Mills (National Adviser in School Music, 1958 – 74, and a keen choral musician) began National Holiday Choral Courses for Secondary Schools in 1964, raising the profile of choral activity over the next ten years, and encouraging the founding of dozens of madrigal groups around the country. As his successor I recommended, in 1976, the introduction of a vocal section within an existing nation-wide schools’ music contest. This popular vocal section was later handed over to the Department of Education and then eventually to the New Zealand Choral Federation after it was formed in July 1985. What began as an add-on to an established instrumental festival has now become the ‘NZCF Big Sing’, a huge musical phenomenon involving a large percentage of secondary schools, one of the largest competitive events in the country, and fostering world-class performances from top choirs at the National Finales. Two further initiatives also helped build choral activity in secondary schools: the creation of free group vocal tuition in 1977, and the formation of the New Zealand Youth Choir in 1979 – the first of its kind in the world. Some graduates of the NZ Youth Choir have become soloists in opera, oratorio, lieder or music theatre, but more have turned to choir direction of school and chamber choirs in particular. Even greater numbers have continued as outstanding choral singers to form the basis of some of the country’s leading chamber choirs, for example, in Wellington the Tudor Consort, (Michael Stewart) and Nota Bene (Christine Argyle), and in Auckland Viva Voce (John Rosser). 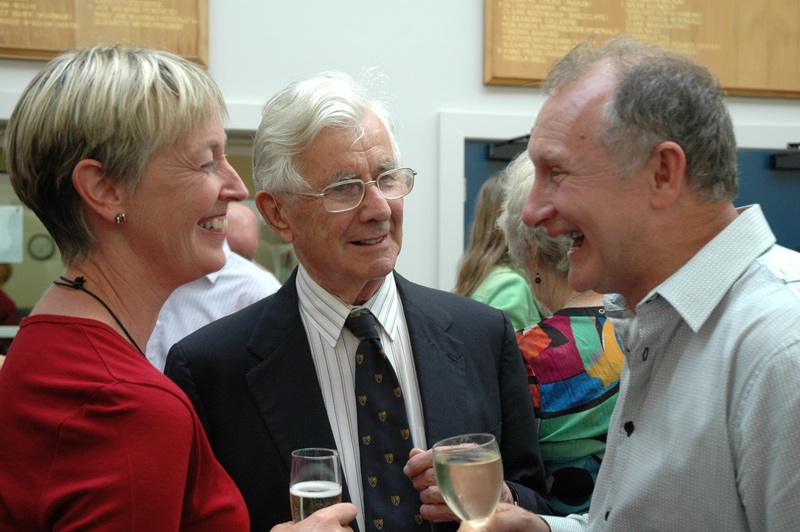 Notwithstanding the above developments, a towering figure in the development of the choral art in New Zealand has been Peter Godfrey, who arrived in Auckland from England in 1957 as a young University lecturer, fresh from teaching at Marlborough College, and bringing his experiences as an ex-King’s College, Cambridge choir boy and choral scholar. At Auckland University, and with the Dorian Choir and NZ Youth Choir Professor Godfrey’s efforts decisively raised music-makers’ sights. With his founding of the NZCF (he was the first President and is now its Patron), he encouraged new generations of singers to work together and strive for new levels of excellence. Although the NZCF has had some growing problems over its 26 years, it now confidently represents nearly 500 choirs and many individuals at every level. It is one of the most active arts organisations in the nation. With the renewed support of Creative New Zealand (the Arts Council), and local and national sponsors the Federation promotes big choral events (referred to elsewhere in this article), as well as workshops, clinics and other ventures in twelve or more centres. It communicates through a regular E-News, and a full-colour newsletter, Breve, and presents a lively website with comprehensive sections for regional news, conductor vacancies, etc. A recently-launched NZCF Association of Choral Directors, is poised to support and encourage conductors with stimulating programmes, networking, conventions, and mentoring opportunities. Finally, it must be said that the tentacles of Kiwi choral music are beginning to stretch far and wide! This has to do with the next Rugby World Cup being held in New Zealand. From 9 September 2011 all 48 rugby union matches will be ‘kick-started’ with national anthems sung on the field by chamber–size choirs to NZ Symphony Orchestra backing tracks. Recordings of the choral arrangements by Anthony Ritchie will later be made available for worldwide sale. We are delighted that NZCF won the contract for this work, and we are glad that the Kiwi choral tradition is being honoured in this way at the world’s third largest sporting festival. Politics and sport may not always mix successfully, but choral music and sport are certainly set to enjoy each other’s company and enhance a World Cup experience.